Why does Big Brother want my license plate number? 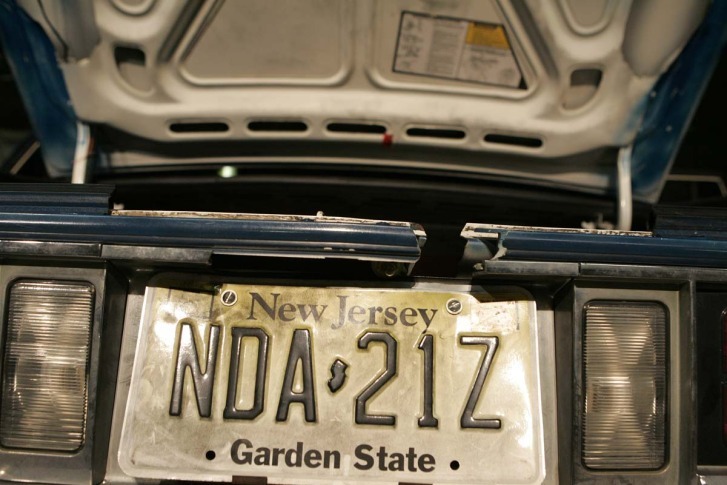 The Department of Homeland Security is closer to developing a National License Plate Recognition Database, which is raising privacy concerns. WASHINGTON — The Department of Homeland Security is now seeking a vendor to build and operate a smartphone-based national database of vehicle license plate information that would be shared with law enforcement. “This system is supposed to be for the Immigrations and Customs Enforcement branch of DHS, for the tracking of illegal immigrants,” says WTOP National Security Correspondent J.J. Green. DHS officially solicited the vendor on the Federal Business Opportunities website, for a National License Plate Recognition Database. Green says a similar plate recognition system has been in use in the United Kingdom, using an extensive network of closed-circuit television cameras. “It pretty much catches all the movements of cars, people, buses – pretty much anything that moves, at least in the cities,” says Green. How would the system help? Homeland Security officials say the use of the database will help agents and officers catch suspects who could pose a public safety threat, and reduce the man- hours required to conduct surveillance. The specifics of how the smartphone application works would be provided by the vendor, although DHS says it is open to a system built around iPhone, Android or BlackBerry devices. Some, including the American Civil Liberties Union, are concerned about abusive, invasive, and discriminatory tracking. Several local police departments in the Washington area use license plate readers, and say they keep the data less than a year. In a 2013 report entitled “You are being tracked: How license plate readers are being used to record Americans’ movements,” the ACLU says the opportunity to misuse the data is large. “The knowledge that one is subject to constant monitoring can chill the exercise of our cherished rights to free speech and association,” according to the report. “If not properly secured, license plate reader databases open the door to abusive tracking, enabling anyone with access to pry into the lives of his boss, his ex- wife, or his romantic, political, or workplace rivals,” says the ACLU. Green says the increased use of technology in maintaining public safety makes some people nervous. “You’re just somehow never alone or away from the glaring eyes, in the minds of some, of Big Brother,” says Green. Homeland Security officials say the database would be run by the commercial enterprise and the data would be collected and stored by the enterprise, not the federal government. Green expects there would be signage to let people know their license plates might be photographed. Watch local news reports on the issue from across the country below.